Hi lovely people! Today I have a new, kawaii skincare brand to introduce to you! It's a Taiwanese brand that I found on Sasa, and I was so enamoured by the [perceived?] reference to Alice in Wonderland, that I caved and bought two products from the Honey range to try. The first product is the Honey Enriched Moisturizing Lotion - packaged in one of the most adorable bottles I've seen! It's all plastic by the way, but it could be mistaken for a glass milk bottle hehe. Key ingredients include Honey extract (repairs skin) from Spain, Hyaluronic acid (hydrates skin), and Algae extract (moistens skin). At first glance it looks like a watery toner, but actually it's more like a watery gel. It's unusual, but I think this type of gel-toner-essence-like product is quite common in Asian skincare. Sasa claims the rich texture absorbs deep into the skin, moisturises, and even lightly exfoliates skin for better absorption (of skincare products, I assume). I would also like to know where in the ingredients the honey, algae, and hyaluronic acid is? 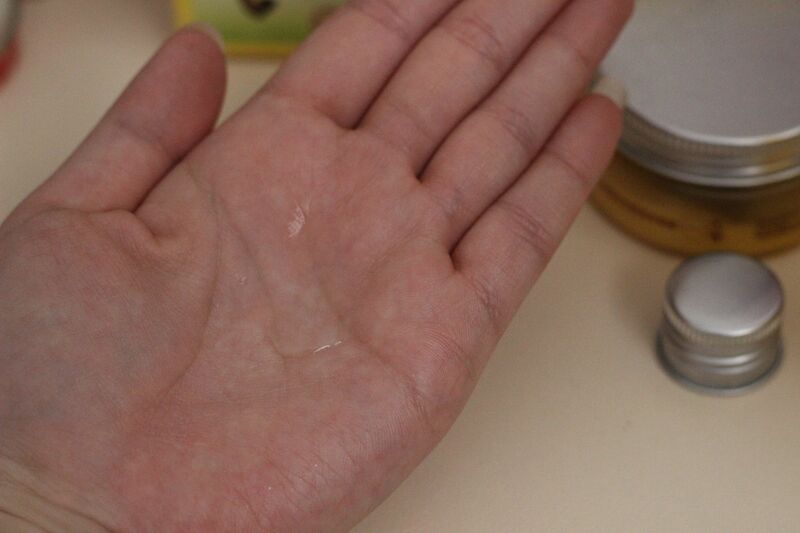 I typically splash a bit onto a cotton pad and apply it all over, but if you want to prevent wastage you can also splash it onto the palm of your hand and then pat it onto your face too. I'm not sure about the exfoliation claims - it doesn't have any grainy texture whatsoever that would suggest it exfoliates, but I definitely find it does soothe and moisturise my skin. I prefer this to my previous HG toner (Nivea Pure Cleansing Toner) now. Scent-wise I was highly hoping for a beautiful honey scent, however it smells slightly like algae rather than honey. It's not a terrible or a strong scent, but it was unexpected. The Honey Moisturizing Cream is also cutely packaged, though I find the sizing much too small compared to the lotion. The cream will definitely run out much faster than the lotion, as it's only 50ml. However you don't need much to apply all over your face. It's a light cream in texture, but feels fairly rich on the skin - I would recommend this cream to dryer skin types, but oily or combo skin may find it a tad too rich. I found it smooth to apply, and it hydrated my skin well, so I actually really like it. Aside from not having a honey scent, and wishing the cream came in a bigger size, I was impressed with these products. It's not just pretty packaging! I've actually repurchased the cream as I'm 3/4 of the way through the one I have, and I intend to repurchase the Moisturizing Lotion when I finish that too. You can check out Let's Wonderland products here. Have any of you heard of this Taiwanese brand before? The packaging is so cute! Although I also wished it smelled like honey. is a lot less than the lotions. This brand sure is cute! Thanks for the review! I also saw these on Sasa and wondered about them. I've never seen this brand anywhere else but it certainly is cute! How beautiful the packaging is ♥ Really nice review by the way. I'll keep an eye out for this. The bottle and jar packaging is beautiful. I've always been a fan of the semi-transparent bottles and jars. I would think that it'd smell like honey as well and it's a little disappointing that it was algae instead though. I also imagined that it would be somewhat sticky, like honey but it's a good thing that it wasn't. I hate that that feeling. This is the first watery gel lotion I've tried, but now I can't imagine not having something like this in my skincare regime!